You might have noticed one of the summer shoe trends are sky high wedges. After you noticed, you might have wondered…how do I style those and why would I wear them?! I have quite a few wedges and I love them, but I didn’t have any really tall wedges. I stayed away from them because they scared me a little. Until a couple of months ago. I purchased my first pair through a JustFab.com sale. They didn’t look that tall when I ordered them, but when they arrived on my doorstep, they were definitely sky high wedges and taller than any wedge I had ever worn before. What do I think? I LOVE them. In fact, I have worn them with this Striped Maxi Dress which is quite long and several other maxi dresses, several times. 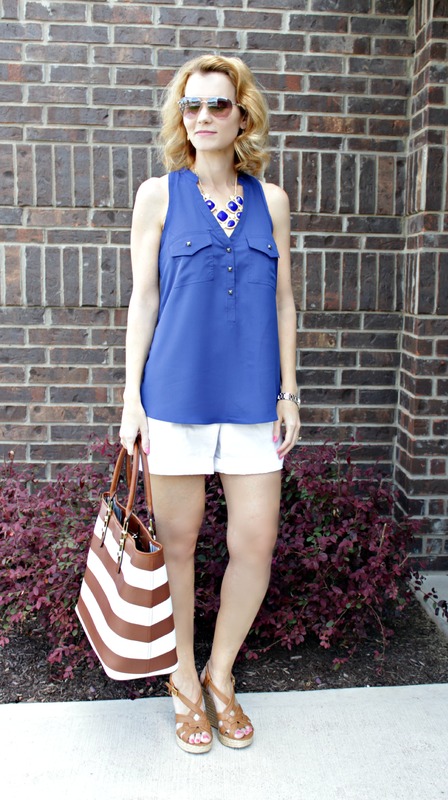 I’ve also worn them with this outfit: a pair of white shorts, royal blue shirt and gorgeous blue statement necklace. If you think wide leg pants are out…think again. They’re still so in and a pair of platform wedges look amazing with them. 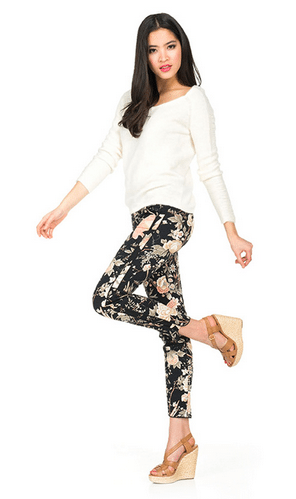 Pair them with a flowy summer top, woven handbag and a pair of killer sunglasses. Sky High Wedges are the perfect match for your long maxi dresses. Maxi dresses are your perfect match for summer BBQs, date nights, shopping excursions – basically they are a girl’s summer BFF. Shop some fabulous Sky High Wedges at JustFab.com (membership required), Amazon, Shopbop or click through below.